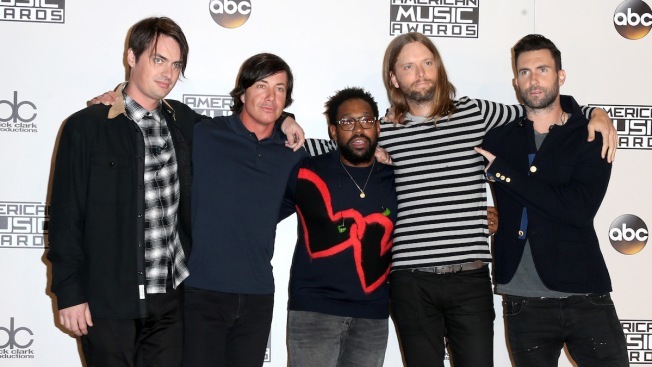 From left: This Nov. 20, 2016, file photo shows musicians Mickey Madden, Matt Flynn, PJ Morton, James Valentine and Adam Levine of Maroon 5 in the press room during the 2016 American Music Awards at Microsoft Theater in Los Angeles. The Super Bowl halftime show continues to stir controversy as the NFL announces that Maroon 5 will not participate in the traditional pre-game news conference. The National Football League made the surprise announcement just five days before the musicians would take to the stage in Atlanta. In a news release, the league said that rather than participate in a news conference, the artists will participate in a "social and digital media rollout" in advance of the televised show. "Maroon 5 has been working hard on a Pepsi Super Bowl LIII Halftime Show that will meet and exceed the standards of this event," the statement said. 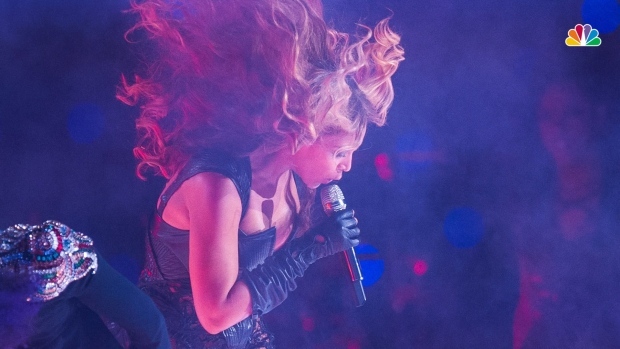 "As it is about music, the artists will let their show do the talking as they prepare to take the stage this Sunday." Maroon 5's agreement to perform during the halftime show has been a source of controversy ever since it was reported in September that they would headline the show. The band and the league confirmed earlier this month that Maroon 5, Big Boi and Travis Scott would take the stage on Feb. 3. Then, comedian Amy Schumer called on the band to step down as headliners amid rumors of their halftime appearance in October. She spread the word about a petition on Change.org, demanding that the Adam Levine-fronted group back out of the performance in "solidarity" with quarterback and free agent Colin Kaepernick. However, it appears the NFL won over Levine and the rest of the band by promising a $500,000 donation to the organization Big Brothers Big Sisters of America. "We thank the NFL for the opportunity and also to them, along with Interscope Records, for making this donation to Big Brothers Big Sisters, which will have a major impact for children across the country," Levine told E! News.